For testing various size solar panels WIEBER designs and manufactures Solar Panel Test Chamber. The test are to be performed according to various standards of ASTM, IEC, UC etc. Solar panels need to pass environmental tests as per IEC and other standards requirements to prove their long term performance and resistance to temperature and humidity extremes. Solor Chamber also known as Solar Photovoltaic Testing Chamber and PV Module Test Chamber. 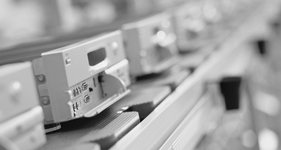 WEIBER can work with you to decide which equipment has the needed size and features to suit your applications. Factors such as desired equipment, testing methodology, floor space and budget will affect the final selection. 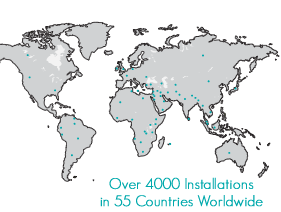 These tests are performed to determine that solar panel can withstand the thermal stress caused by increase and decrease in temperature and humidity. A unique air flow systems ensures precise air throughout the chamber during testing phase. 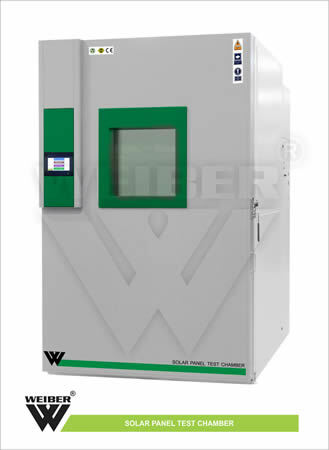 WEIBER Solar Panel Test Chamber include inbuilt HMI+PLC controller, Ethernet controller, data recording, memory access, alarm and monitoring system, backup and security facilities etc. additional chamber options can be made available on customers request. Cable port for testing panels in place. Module rack with rollers (optional). 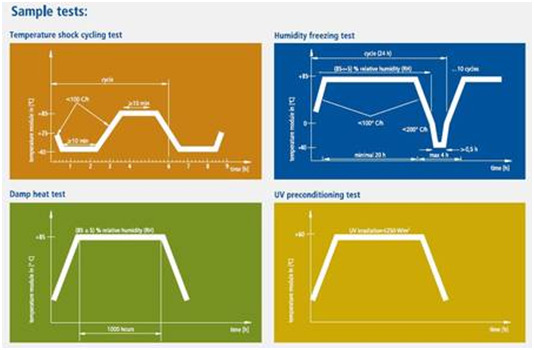 High humidification performance to fulfil modern test standards. Door open and Door close alarm system. Inbuilt printer for printing graphs. Less use of Electrical and Mechanical Components on the Top and Bottom of Chamber - Provides easy maintenance of chamber, increases durability because of proper air circulation; cooling systems kept at bottom of the chamber to provide proper environment for compressor. Fullopening Door with Silicone Gaskets and Hinged on Left Side - Allows ease of complete access to the chamber and opening of door with less force; durable silicon gasket reduces temperature loss. Heated Vewing Window - Heated viewing window allows viewing fog generated and proper viewing of the test sample. Variable speed motor saves money by reducing energy bills, as it consumes less electricity than conventional motor. Variable speed enables gaining air conditioning efficiency or SEER. Variable speed motor helps clean the air efficiently. When the fan is in constant operation (indicated by the "Fan" setting on thermostat), the motor continues to slowly circulate air, allowing filters to capture more contaminants. Variable speed motor combined with a Thermostat allows controlling the amount of humidity. Variable speed blower motor are significantly quieter thanits single-speed counterpart. PCRC Sheet Body - Powder coated steel body assures corrosion resistant chamber and allows working of chamber at high temperature applications. Digital Output – Target and Performance Output of the chamber operations are in digital format(digits) giving precise reading. Pre - Attached Data Logger with Data Analysis Software - Primary benefits of using data loggers is to automatically collect data 24-hour basis.Graph and table format of results can be produced automatically by the data logging software. Self - Calibration System - WEIBER incorporate a self-calibration system, in each chamber,that is completely automatic to prevent errors that could result from failure to calibrate. The system continuously monitors the environment, sensing changes that could affect analysis, and re-calibrates accordingly using a built-in long-life calibrator The process takes just a few seconds, without operator intervention or additional supplies, quickly optimizing system parameters for the current conditions. Open and Close Updates Through Mobile Network - Mobile technology has the potential to make services more flexible and keep informed, information anywhere at any time from mobile device, and can set alert system to know whether or not the chamber is being used. Reliable – Construction, performance mechanism, controls and information system integration makes the equipment reliable. Precise Control of Environmental Parameters - The set/ programmable parameters of the chamber are precise or have less deviation from original value,thus ensuring correct measurement. Provides flexibility to alter the system by changing software. Aesthetically designed - Designed according to the standards and principles underlining industry’s aesthetic values. Corrosion Resistant interior and exteriors - Corrosion resistant coatings like epoy coatings are applied inside and outside the chamber to prevent against degradation due to moisture, salt spray, oxidation or exposure to a variety of environmental or industrial chemicals/ corrosive agents. Energy Efficient – WEIBER chamber uses less energy to provide the same level of performance, comfort and convenience, thus making it energy conserving chamber. CFC - free cooling - The air cooled refrigerator use CFC (chlorofluorocarbon)-free refrigerants those are ozone friendly and eco-friendly. Sturdy Construction - WEIBER chambers are built with robustness to withstand stress and strain, giving the chamber long life and ability to perform in extreme stress environments. Low Maintenance - WEIBER systems benefit inretaining proper functionality over long period of time. Temperature test or thermal cycle test: requires temperature cycling between -70oCto 85oC, 50or 200 times. It may last up to seven weeks. Humidity freezing tests:Cycling between hot/humid 85°C/85%RH and subfreezing -40°C ten times, with extended soaks at 85/85. 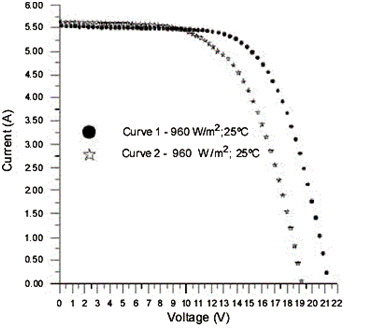 Damp tests:A long term, 1,000 hour, test at 85°C/85%. It may last six weeks long. The automatic HMI+PLC controller takes the input from the user and the tests are performed in the chamber. These 3 tests determine the following. Weibersolar panel test chambers are double walled convection heated and cooled units. Outer body of our environmental chambers are constructed out of thick PCRC, pre coated corrosion resistant GI sheet duly pre-treated with primers and rust proofing and painted with long lasting stove enamel or elegantly powder coated. The inner chamber is made of heavy gauge stainless steel sheet of SS-304 grade). The gap between the walls is filled high grade mineral glass wool, which ensures maximum thermal efficiency in our chambers. The unit is provided with two doors or single door. This door is provided with magnetic door closer. . This door is provided with lock and key arrangement. The unit is mounted on a sturdy steel frame. The unit is provided with various customized shelves in various permutations and combinations to suit individual requirements. The triple walled back of our solar panel test chambers are provided with two/Four/Six/Eight (size specific) air circulation fans for uniform maintenance of the temperature throughout the chamber. Weiber provides better automatic controls for the chamber by integrating HMI and PLC together. This special feature is compelling alternative to traditional methods and provides a simplified, reduced cost control system architecture. At HMI interface between operator and chamber occurs. The machine operates with the logic design controls controlled by software. This signal is sent to the chamber by logic control devices and the chamber operates. Processor of 1.6 GHz: High clock speed processing PLC that enables speed up processing to the functions. With 1.6GHz processing speed, the PLC system is capable of multitasking, processing of large data volume, and high performance. Audio Output Alarm: Audio alarm alertin case of failures in any of the component controlling functions. COM Port: Com port provided for attaching RS 235/RS 485 cable. USB Ports: A USB port provided for transferring data through communication between HMI and PLC. Various peripherals can be connected via USB hub. Coloured Touch Panel: We provide coloured touch panel screen available in 2 sizes -7 inches and 10inches, displaying all the control features, digital clock, sensor layouts, data and values, graphics and pictures, navigations etc. RS232 or RS485 Interface: Serial interface provided to get connectivity with internet, mobile and other data transmission. Single device to device interface and a communication bus that is used to form simple networks of multiple devices are available through RS485 interface. RS485 interface supports transmission speed of 2400, 4800, 9600, 19200, 38400 bits per second. 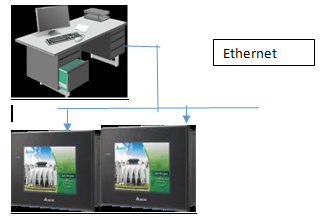 Through Ethernet communication module, AC Drives, temperature controller and other industrial automation products can be connected quickly. Touch Screen Size of 7 Inches and 10 Inches: HMI screen available in 2 sizes- 7inches and 10inches, as per user’s requirement. 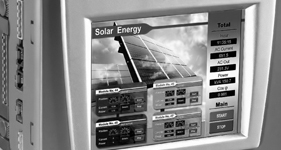 Screen displays the control features, images, data values and other programs. Expandable Memory with a SD Card: SD card plugged in appropriate slot for more memory requirement that will be read and used as part of device; for long storage requirements SD card may be added and store data with expanded memory. High Resolution Brilliant TFT Displays, 64k Colours: HMI screen displays 64000 different colours with good resolution, allowing large number of distinguished colours, easy to establish and work with. It shows entire new 2D drawing technique, the screen resolution enhanced for more realistic images and more colourful and vivid displays. Software Supports All Six IEC 61131 Programming Languages: Software supports all the six programming languages under international standard IEC 61131: Function Block Diagram, Ladder Diagram, Structured Text, Sequential Function Chart, Instruction List, and Continuous Function Chart. E-remote Control Software: E-remote enables viewing the monitor and same screen shown on HMI at the production site, and control the manufacturing process via Ethernet. Debugging- Finding and reducing number of defects. Online changes- Like change of IP address can be made online. Manual to operate the programs on request. Increased Numbers of On - Board I/O peripherals (10-50): Maximum number of 50 I/O peripherals provided on request, to attach input and output devices to the HMI and PLC. Increased number of input and output peripherals allows adding of devices like printers, recorders, etc.,as per the need. Data Logging and Free Pprogramming Software: Attached data logger with input program software provided. Through data logging software, HMI and PLC collect datathrough sensors, analyse the data and save and output the results of the collection and analysis. Examples of the types of information a data logging system can collect include temperatures, sound frequencies, vibrations, times, light intensities, electrical currents, pressure and changes in states of matter. Indirect heating system is provided in our units, comprising of air heaters made of high grade Kanthal A-1 wires of suitable wattage. The warm air is evenly distributed throughout the chamber through efficient motor fans ensuring very good temperature sensitivity. An energy efficient cooling unit is installed in our photostabilitytest chambers to enable studies at lower room temperatures. We use high end CFC free compressors of Kirloskar/Tecumseh / Bitzer/ Denfos make, conforming to latest international standards and guidelines. Air-cooled condenser is internally grooved finned copper tubes used for high heat transfer area, which not only reduce power consumption, but also bring down the condensation faster. This unit is designed. &verdigris& reduces the resistance, saves energy consumption and ensure good heat exchange. The compressor is mounted perfectly to ensure recommended level of sound and vibration. Which ensures the compressor and refrigeration system when low pressure will occurs it trip off the compressor. This is the only operator friendly switch can easily reset. Is the only Condensing Unit, which is equipped with it. This valve is used for pump down the total gas in to the condenser & receiver in the faulty condition. Which is equipped in the liquid line for ministration of moisture in the liquid. It will collect all the moisture in side the refrigeration line as well as gas. The sight glass area in the Moisture Indicator shows at a glance the condition of the refrigerant system. The moisture indicator element changes colour and indicate if the system is safely dry, or dangerously wet. In most refrigeration applications, in order to automatically control the flow of fluids in a system, it is necessary to be able to start or stop the flow in the refrigerant circuit. An electrically operated solenoid valve is usually used for this purpose. Its basic function is the same as a manually operated shutoff valve, but it can be positioned in remote locations, and may be conveniently controlled by simple electrical switches. The oil separator intercepts the oil mixed with compressed gas and returns it into the crankcase of the compressor, thus assuring an efficient lubrication of its moving parts. Also, it improves the overall efficiency in the system. Maximum Efficiency of the relief device (expansion valve) because it is supplied with sub cooled Liquid. As per ASME Section VIII Division I for storage of refrigerant. Aerosol Generator and Monitor is a multi-function aerosol instrument comprised of an atomizer aerosol generator. 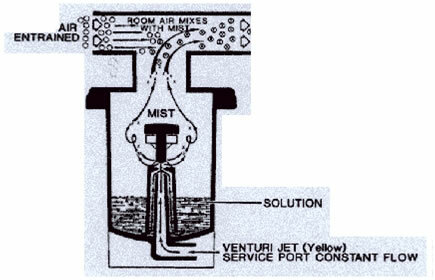 As an aerosol generator can be used to generate a monodisperse aerosol by atomization. The output aerosol concentration is continuously monitored by control facility to provide a stable aerosol output with a known particle size and a known aerosol concentration from 10nm to1000nm. Water Reservoir is provided at the side of the chamber with a 10 x 8mm PU tube quick connector and water level is automatically controlled through a water-in solenoid valve. The wick tank water level is automatically maintained through a water solenoid valve and an electrical float switch. The de-mineralized water or single distilled water supply to the humidity inlet having a resistance measurement of approximately 50,000 – 200,000 Ohm/cm is provided with the unit. 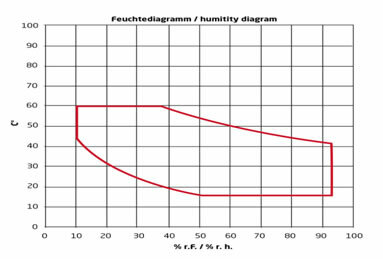 Dehumidification: Refrigeration based de-humidification system is used. The desired level of lower humidity will be achieved by maintaining the precise dew point temperature. If you need more low humidity than the standard range then refrigeration based dehumidification system can be incorporated on customer’s request. 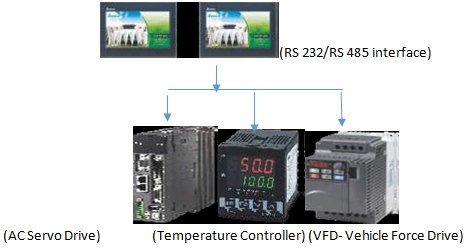 Temperature Control: The temperature inside our temperature and humidity controltest chambers is controlled through Nano technology based HMI & PLC controller. 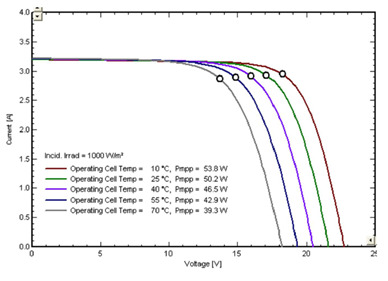 Temperature Range: Temperature range of our standard Chamber is -2°C to +40°C. . However we have the capacity to modify the same to suit the individual specialized requirements of our customers. 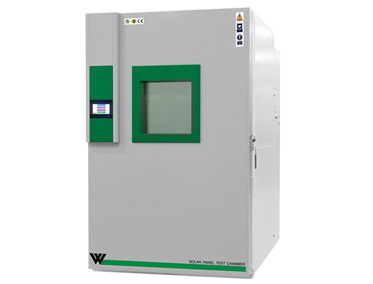 Temperature Sensitivity: Temperature inside our Temperature And Humidity Control test chambers are controlled with a sensitivity of + 0.3 o C or better. Illumination: OurTemperature and Humidity Control test chambersare provided with door operated illumination system comprising of fluorescent lights, beside two panels of diffused fluorescent light panel located at the either side of the chamber to enable the user to conduct the photo periodic tests and experiments. Insulation: The gap of 75 mm between the outer and the inner wall is filled with special grade glass wool to prevent thermal losses. Mineral Glass Wool Insulation: Glass mineral wool is one of the most environmentally friendly, stable and sustainable insulates available. Glass wool is incombustible by nature. Euro class classification is A. It does not propagate flames and toxic smokes. Thanks to a dense entanglement of materials with a low conduction and trapping a great amount of air, glass wool is an excellent thermal insulant. The thickest it is, the best thermal resistance it has, thus reducing heat losses in our equipment’s for better sensitivity and economical operations. 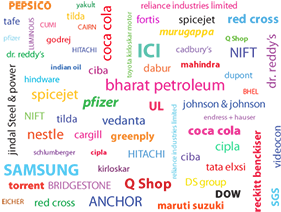 And its impact on the environment in manufacture, use and disposal is minimal. Bright bar (EN - 8 class) shaft. 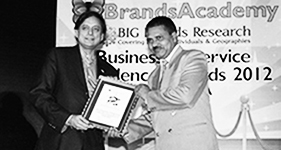 Bush bearing of branded companies. Surge comparison testing in fans and pumps eliminates into turn short circulating of the stator. Pressure die-casted-rotor manufactured with zero error. Port hole: port holes with silicon enclosure is provided at back side of the chamber. Through the port hole you can input sensors, wires and other test equipment. Silicone foam plugs have excellent temperature and humidity resistance and offer very good thermal insulation. Generally a single port hole is given but more numbers ca be increased according to customers request.